Offline playlists are one of the best things about Spotify. When your playlists are available offline, you can access them even there is no internet connection. Offline playlists are total lifesavers on airplanes and subway commutes. Generally, you need to subscribe to Spotify Premium to listen to Spotify music offline. Spotify’s individual premium plan is $9.99 per month with family plan $14.99 per month and student premium $4.99 per month. Even though you subscribed to Spotify Premium you can only listen to Spotify offline on a maximum of 3 different devices with up to 3,333 songs per device. Is there any way to listen to Spotify offline for free? The answer is yes. With third-party Spotify music downloading software, you can easily save any Spotify songs, albums and playlists for offline listening with Spotify free subscription. The output formats include MP3, M4A, WAV and FLAC, which means you can enjoy the offline music with any music players or devices. Easily remove the DRM from Spotify Music. 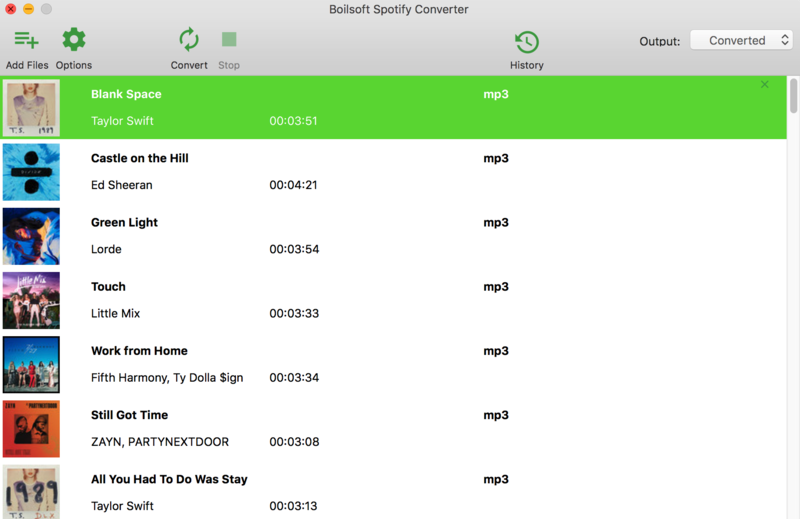 Download and save Spotify songs to MP3, M4A, WAV and FLAC. Listen to Spotify offline with Spotify Free subscription. 100% lossless quality and fast speed. Tutorial: How to listen to Spotify offline for free? 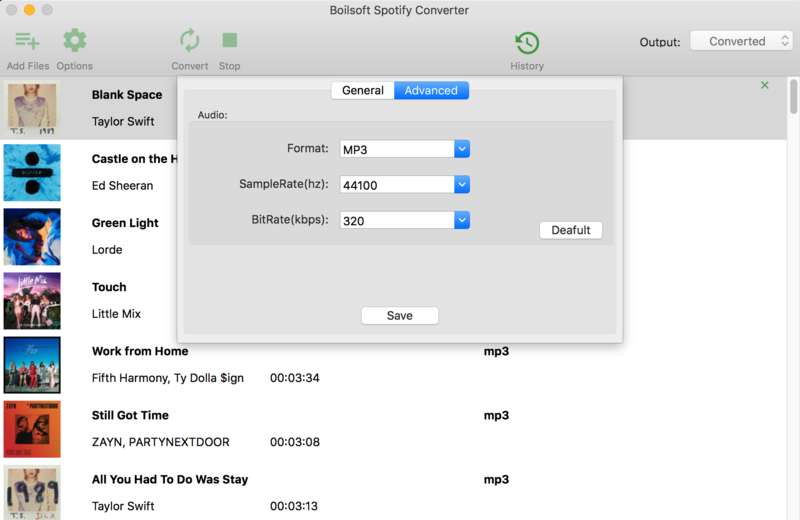 This tutorial will show you detailed steps to download and save Spotify songs, albums or playlists to DRM-free MP3, M4A, WAV and FLAC with Spotify Free or Premium. 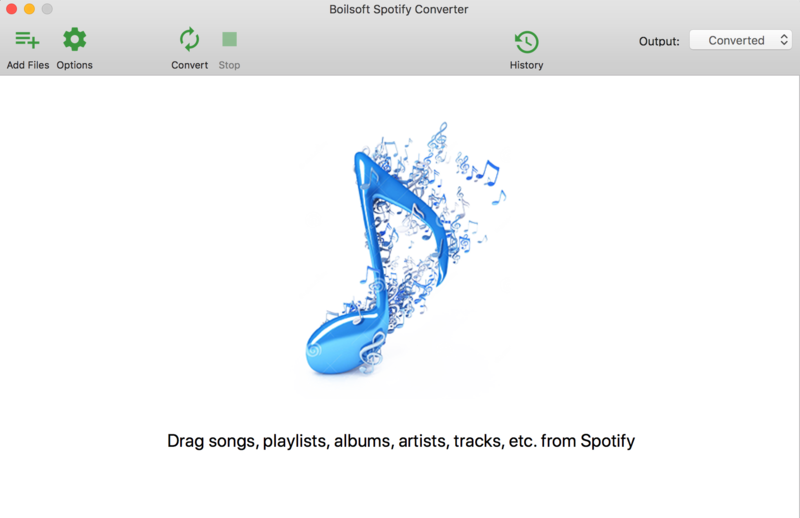 Download, install and run Boilsoft Spotify Music Converter on your Mac. The default format is MP3, if you want to save Spotify music as MP3, just move to the next stop. If you want to change output format(M4A, WAV or FLAC), click Option button. You can also set music quality by changing bitrate and samplerate. 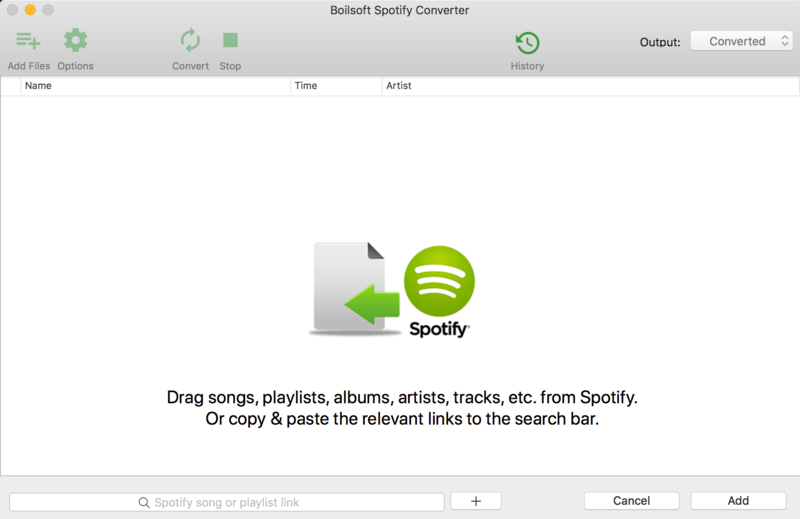 Click Convert icon to download Spotify music offline to the format you choose. After downloading, you will get the offline drm-free music in plain formats and listen to them anywhere you want without any limitations.